The new LiveU's LU200 ultra-small unit is the first of its kind, standing in a category of its own within the broadcast market. The LU200 fills out LiveU's solutions for broadcasters, while offering an attractive price, form-factor and performance for other markets. Weighing just over 500 grams (1.1 lbs) and available in a pouch or camera-mount configuration, the LU200 provides a highly cost-effective and easy-to-use unit for live video transmission anywhere in the world. The LU200 supports two 4G LTE/3G modems together with WiFi and LAN connections and includes LiveU’s proprietary antenna modules for extra resiliency. This two-modem bonded solution is compatible with any camera and is ideal for broadcasts on the fly. 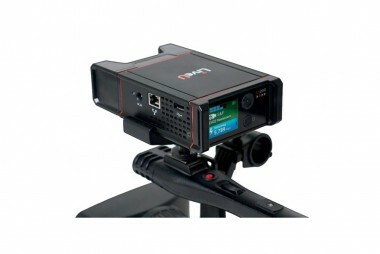 The flexible LU200 can also serve as a stand-alone video encoder or be used as a LiveU DataBridge mobile hotspot for general connectivity in the field. The LU200 is fully incorporated with LiveU’s multi-layered live video ecosystem and can be locally or remotely managed via LiveU Central, the unified management platform for LiveU’s fieldunits. As the hub for video ingestion, LiveU Central allows broadcasters to acquire both live and recorded content from the field, preview it centrally or remotely, broadcast it live or in scheduled programming and distribute it to any location. -Preview: Video preview; per-network cellular connectivity status incl. throughput, network delay etc.